I am looking for an off-roadable SUV. I want a reliable stock 4x4 that is upgradable, liftable, etc. I want entry level luxury market interior amenities such as leather seats, heated seats, cruise control, etc. 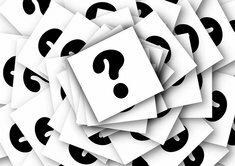 I believe I am looking for a Toyota Land Cruiser, GMC Yukon (Denali possibly? 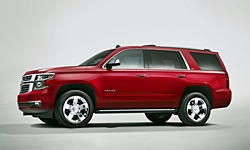 ), or Chevy Tahoe Z71. Durrango used to be an SUV that was reasonably reliable but as of today is not so reliable. The Toyota Landcruiser has limited sales so there is no reliablity data available but in general Toyotas are fairly reliable. It is a very good vehicle but finding one in your $8000 price range that is not too old may not be reasonable. GMC Yukon and Chevy Tahoe (essentially twins) from 2011-2014 are fairly reliable vehicles which usually only have issues around squeaking. Any newer and you have to deal with the redesign which unfortunately have had some issues with Electroinics in addition to the body squeaks. Nothing too major but inconveinent to be sure. The 721 being more of a performance model may have a few more issues as well. For your price you may find you can get a used GMC/Chevy easier than the Toyota. In my view, all three are reasonable choices although you may find the Toyota slightly more reliable (but in the case of newer cars, definately more reliable). Toyota 4Runner which is more reliable would also work for you most likely. Best of luck. I have had a 2001 Tahoe (180k miles with a major engine issue - the dreaded "porous block" issue), a 2013 Tahoe and a 2016 Tahoe as well as currently drive a 2014 Durango. I drove the 2013 and 2016 Tahoe's in desert conditions, each for about 60k miles without incident. Both were the base model. The 2014 Durango only has 20k miles and has been driven in cool and winter conditions (no desert conditions) without incident. The Tahoe/Yukon's are bigger and can seat 8 (in base seating configuration) whereas the Durango can only hold 7. The Durango is a better driving vehicle in my opinion but that is subjective and with the V8; the GM and Dodge vehicles tow about the same weight. I test drove the Land Cruiserand it didn't seem to drive as well as the others and the fuel efficiency was a bit less. Since the Durango and Land Cruiser sales are a fraction of the Tahoe/Yukon vehicles, you will probably find more mods available for those vehicles. I think all are good vehicles but have to agree that the reliability stats on the GM are better and it isn't probably a safer choice as has been said. I don't know if you can afford heated seats, but I think the Z71 seems like the best option. The Toyota SUVs are too expensive. The Z71 is already fitted for moderate off roading. The 2nd gen Durango was surprisingly reliable, unlike the 2011 and newer ones. Still I feel like the Tahoes would be more reliable and they are popular. They were most reliable before 2007.